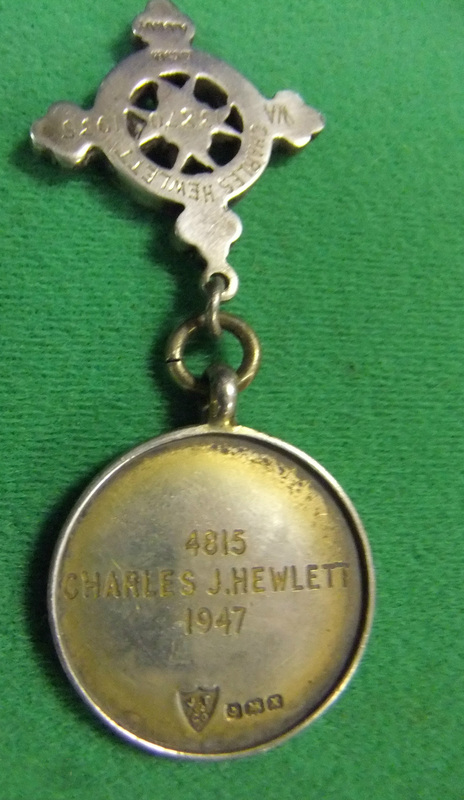 This entry was posted in Museum Exhibits and tagged Great Western Railway, Griffithstown, Pontypool Road, Shed Master, Silver Medallion, St. John’s Ambulance Service, Wales. Bookmark the permalink. 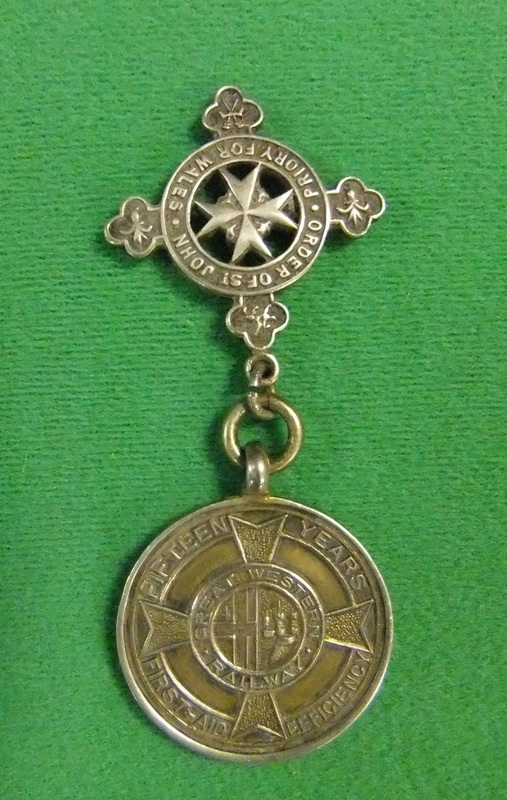 The medal was for 15 years first aid efficiency. It was not a St John award but efficiency involved passing the St John Ambulance Association first aid exam with the GWR Centre. This also resulted in the issue of an annual bar (label) with the year shown, often used as watch chains! The gold medal for exceptional first aid was issued annually – 1 gold medal, 1 silver and 1 bronze with about a dozen certificates. I have images of one issued a few years earlier.